I woke up this morning to the sound of a plane flying over my house. UPS? Fed Ex? A private plane heading to Portland or Silicon Valley? A couple years ago, I would have guessed it was a Seaport commuter plane doing its 4:45 a.m. run to Portland. That airline, like several others, tried flying out of Newport and couldn’t make enough money to stay. In the 14 years since Fred and I moved into our house a half mile south of the airport, we have watched Harbor Air, Sky Taxi and Seaport come and go. 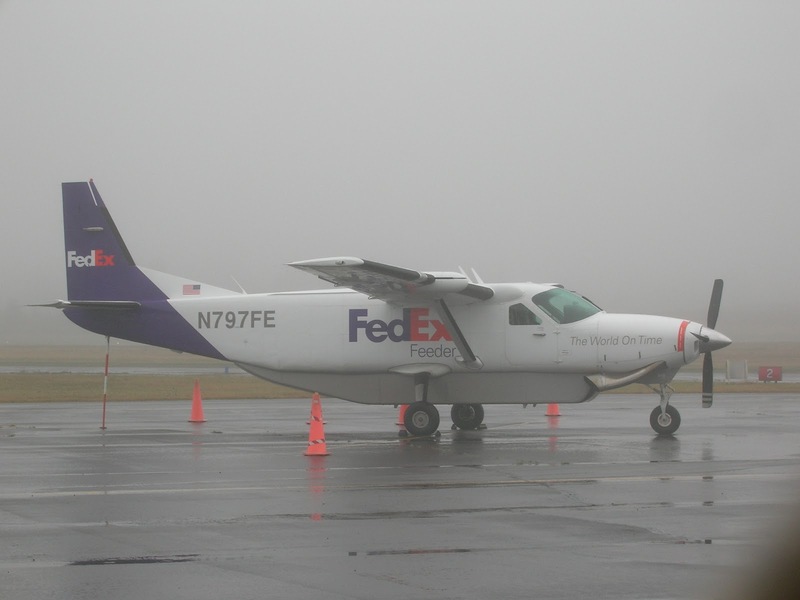 Each time, they left the airport a little more modernized for the mail transports, charter flights, and Coast Guard helicopters that continue to fly there. With new lights, expanded runways and fences to keep deer and elk off the tarmac, Newport Airport can accommodate the biggest jets, but it just can’t support regular flights that would let us avoid the three-hour drive to the Portland airport. Imagine being able to walk up the road with my suitcase and hop on a plane. Unless I buy my own plane, it’s not happening. When we were looking at the house, the previous owner noted that sometimes the helicopter noise gets annoying. He was right. Although it’s nothing compared to our previous experiences with airports in San Jose and Los Angeles, it does get tiresome when the helicopters warm up on the runway for an hour or when pilots in training practice takeoffs and landings. It’s also a little disconcerting to be sitting in the office and see a plane appearing to fly straight toward the house. But it’s fun to sit on the deck or be soaking in the spa and watch the planes fly over, to wonder about who’s inside and where they’re going. I have heard rumors that Bill Gates and other famous wealthy people fly into Newport to relax at the beach. I often wave at the planes, although I know the people inside can’t see me. It reminds me of when I was kid in San Jose and blimps from Moffett Field would fly over. Everyone would run out of the house to watch. At night, the airport lights flash in the darkness, like constant sheet lightning pulsing like a heartbeat. I often hear the planes before I see their red and green lights blinking among the stars. If it’s cloudy, I may not see them at all, but I hear them flying over, hear their engines growing louder, then softer, then sighing into silence. Living so close to the airport has its risks—and not just a plane falling out of the sky onto our house. Over the years, rumors have circulated about a resort, a housing development, new roads, and most recently an air museum practically in our back yard, but none of this has happened. Annie and I still take our walks around the open land just south of the airport, gazing across the ravine at the runways and the lights. The only thing that has changed is the pine trees and Scotch broom getting taller. Sometimes it feels like we live out in the middle of nowhere here in the woods. All I can see from my windows are trees, but the sky is wide open and the aircraft flying over remind me that we’re not alone and civilization is not far away. I wake up to the sound of a plane flying over the house. It’s time to get up. I write a lot more about the airport in my book Shoes Full of Sand, available at Amazon.com and at http://www.suelick.com/Sand.html.